Developer Sarina DuPont from Embarcadero has a tutorial for connecting to a scale via bluetooth in Delphi XE7 Firemonkey. The bluetooth enabled scale that is used is called the Wahoo Balance scale. In the tutorial Sarina shows how to pair with the device, read it’s log data, and upload that data to the cloud. The cloud provider and component used is the TKinveyProvider which is part of the Delphi BaaS components. The example app basically captures a weight from the scale, allows you to enter a description, and then finally uploads it to the Kinvey cloud database. It lists all of weights and descriptions that you have previously uploaded. LiveBindings is used to display the list in a TListview within the app. This tutorial example should also work in Appmethod in addition to running on all Firemonkey platforms with are Android, IOS, Windows, and OSX. 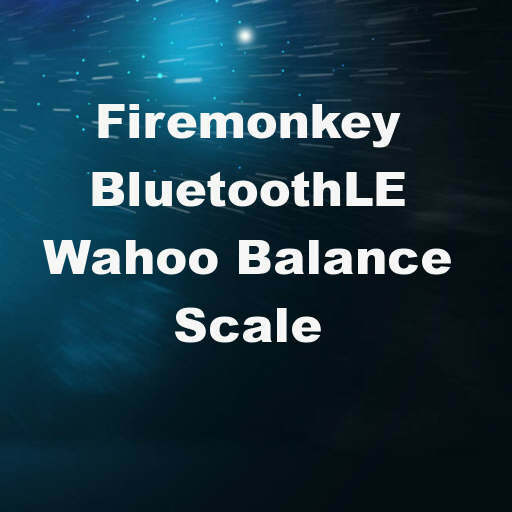 Head over and check out the full post about using bluetooth to connect to a Wahoo Balance scale and upload the weights to the cloud in Delphi XE7 Firemonkey.